For the past five years in Downtown Raleigh, an event with an interesting twist has been taking place: A Day of the Dead 5k. The event organizers are well aware that it’s an interesting mashup of elements. However, so far it has been a winning combination. During these years, the community surrounding Centro Restaurant has come to embrace the event. 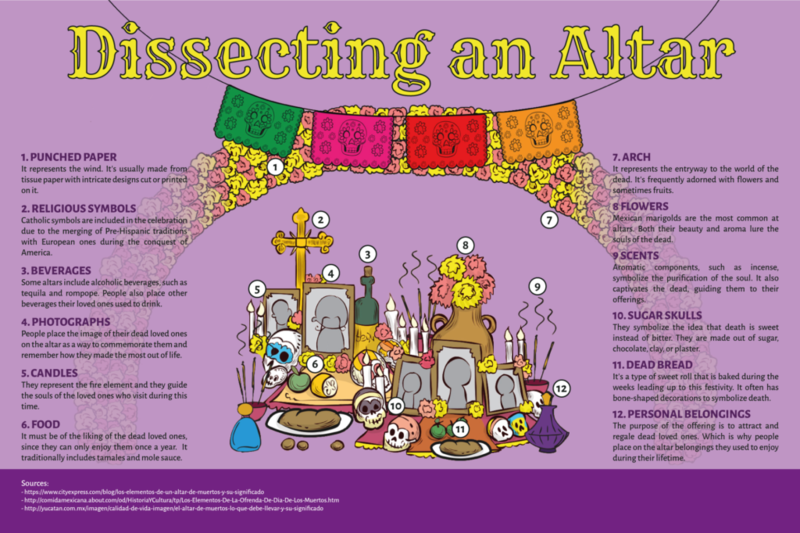 As Ángela Salamanca mentioned, the race doesn’t reflect the true essence of Day of the Dead. However, it has allowed for other people to be exposed to this tradition and understand how the Hispanic community views death in a positive light, as just another part of the cycle of life. The race itself is a mix and match of Day of the Dead traditions with Halloween costumes. This has allowed for more people to become involved with it and, at the same time, they have come to learn more about how these two traditions differ from one another.